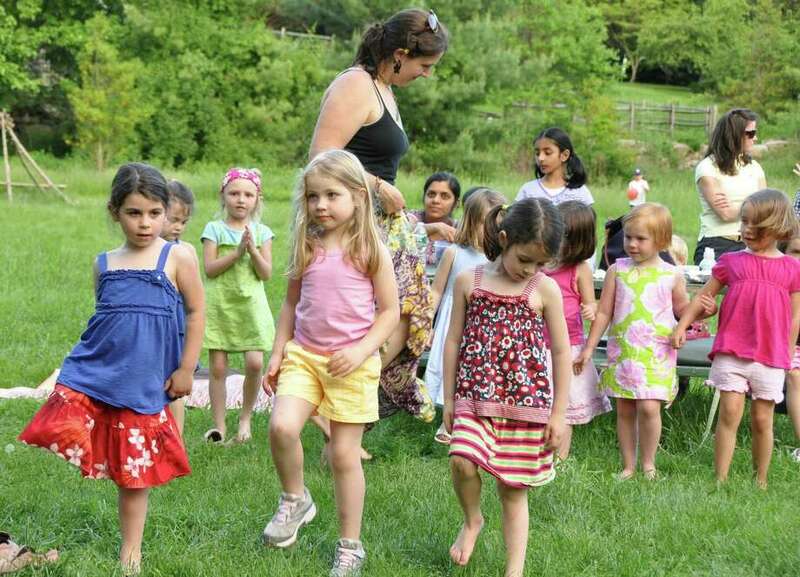 Chilldren participate in last year's Nature-Palooza Concert at the New Canaan Nature Center. This year's event is scheduled for Saturday, Aug. 4, 2012. New Canaan, Conn. The New Canaan Nature Center is hosting its annual Nature-Palooza Family Concert Saturday, Aug. 4, from 4 to 7 p.m. The event, geared toward children 10 and younger, will feature summer games, hula hoops and sprinklers. Families are invited to bring a picnic dinner and listen to family-friendly music outdoors at the Nature Center. Ice cream, Popsicles and other summer treats will be available. Admission is $5 for members, $8 for non-members, and children 2 and younger are admitted free. The Nature Center is also planning a "Farewell to Summer Night Hike," scheduled for Friday, Aug. 25, from 7:30 to 9 p.m.
People of all ages are invited to a guided night hike through the trails on the center's 40-acre property. The hike will focus on what happens in the woods and ponds as dusk turns to night, and you will learn how nature is preparing for the cooler months ahead. Admission is $6 for members, $10 for non-members. Space is limited, advance registration required. Call 203-966-9577. The New Canaan Nature Center is located at 144 Oenoke Ridge.